Of all the layover sightseeing and quick city trips we've taken, our day in Singapore was a favorite. 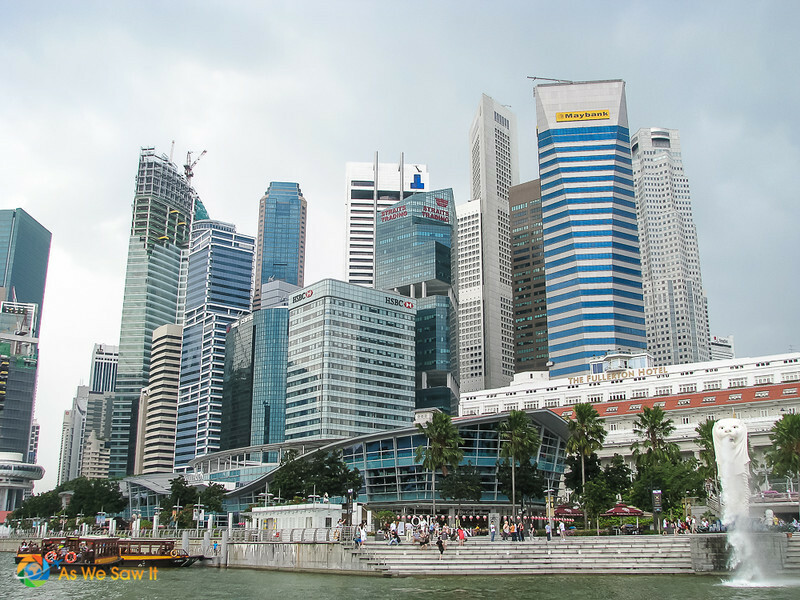 Not only is it the cleanest city we've ever seen, Singapore is the most multicultural country we've ever been to, and there is so much to do in this tiny island nation that it can be overwhelming. So where do you start? With a Singapore river cruise and a hop-on/hop off bus tour. Of course it's impossible to see it all, but the boat-bus combination will give you a good overview of the major highlights. We recommend beginning with a bird's-eye view from the top of a touristy double-decker bus. Yes, I'm talking about those open-top hop-on/hop-off ones that allow you to get on and off whenever you want, all day, with one ticket. 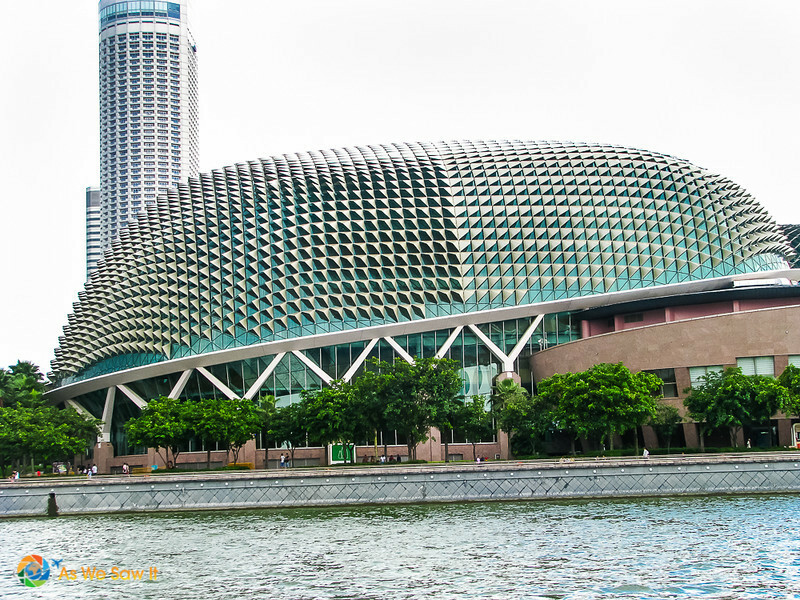 If you're lucky, your ticket will include a free bumboat ride on the Singapore River, which really is a must-do for anyone visiting Singapore. Wherever you are staying, it's likely that the HOHO bus stops nearby. Enjoy the ride; it's narrated in multiple languages and you'll have the opportunity to see a lot and hear about the city. Hop off when the bus stops at Clarke Quay, because that's where your Singapore River boat cruise begins. A river cruise of this world-class port offers a totally different view of this island nation than you get from a bus. You get to see Singapore from beneath for a change, instead of just from above. 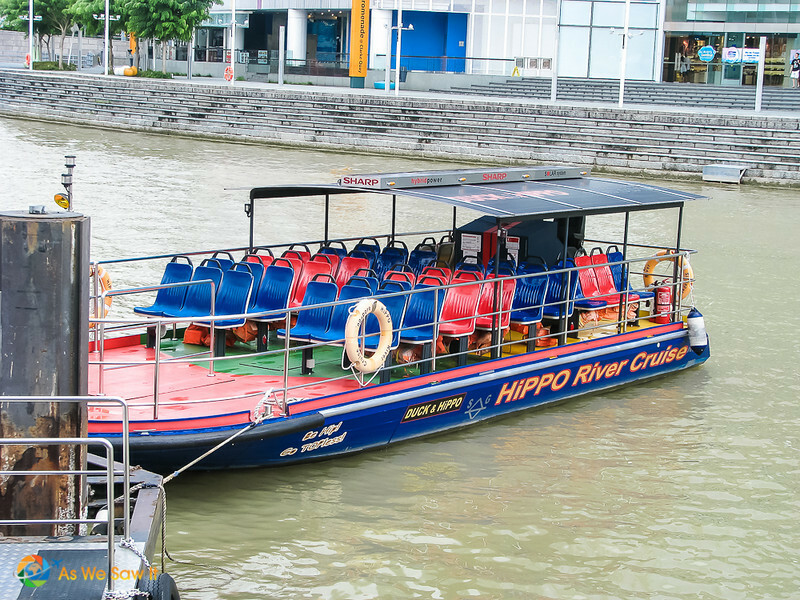 Tip: Two companies offer boat tours: Duck & Hippo River Tours and Singapore River Cruise. Although there are a few other differences, they both have the same route and both start from Clarke Quay. Boat tours depart every 20-30 minutes or so and there is no need to buy tickets in advance. We collected our tickets by showing our bus pass to the ticketing agent at the waterfront. 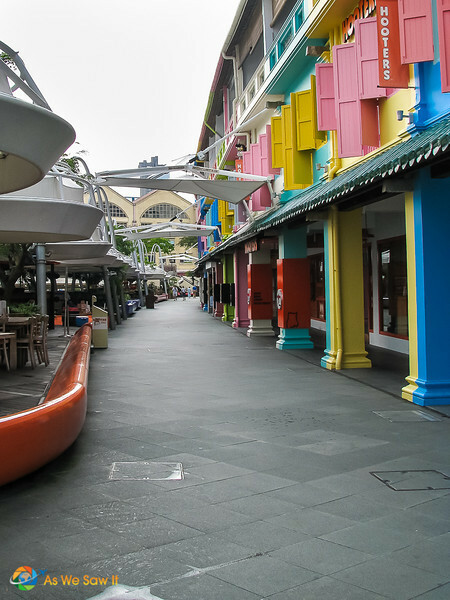 While we waited for the tour to begin, we had time to takea look around Clarke Quay. This is a really intriguing area, a five block-long, colorful collection of high-end condos, boutique shops, tempting bars and international restaurants, repurposed from warehouses that were abandoned when the port was relocated.Hmmm…note to self: Must. Come. Back. Our boat tour began with the guide explaining more about the quay, officially called Clarke Quay Festival Village. Only completed in 2006, it is Singapore's largest reclamation project to date, a vast improvement over how it was 25 years ago when it was full of bumboats (cargo boats) jockeying for position in front of a dock full of warehouses. Long story short, over the years Singapore River had become a polluted, smelly mess, which was obviously terrible for Singapore's image, not to mention a health hazard. By 1977 they had had enough. They spent the ensuing years revamping the area with the goal of turning it into a flourishing commercial and entertainment zone. Even with their ambitious plans, though, they still wanted to preserve the area's historical character so they mandated that many of those warehouses should be preserved and repurposed. The old warehouses now house many of the businesses along the Quay, especially the larger restaurants and night clubs. After we departed, the captain headed upriver to Boat Quay, which at one time handled three-fourths of all the shipping businesses in the entire country. Nowadays, it's a center for nightlife, and the preserved shophouses and offices have become pubs and restaurants with alfresco dining. 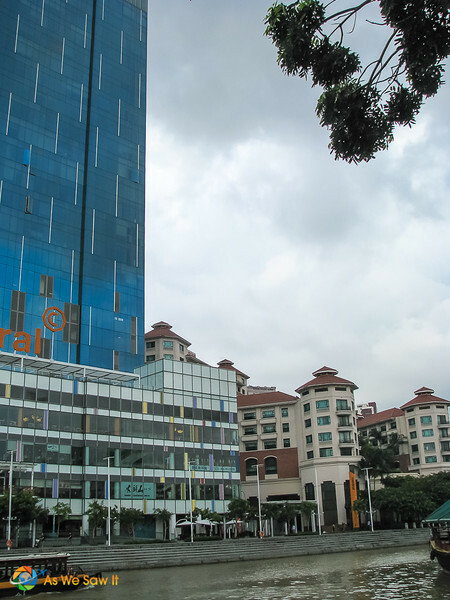 Directly behind Boat Quay are the cosmopolitan skyscrapers of the country's world-class banking and financial sectors. 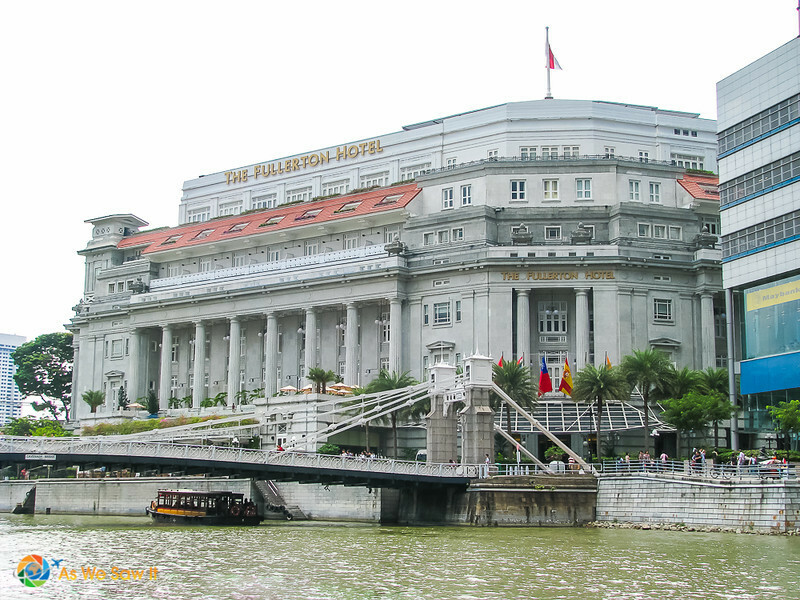 Further downriver, the historic, five-star Fullerton Hotel dominates the waterfront. This building is so grand that it would be impossible to miss. It wasn't always a hotel, though. When it opened in 1928, it housed the General Post Office building, as well as an exclusive club and some government offices. I guess that explains its size. Sigh. This is the type of hotel I'd like to become accustomed to staying in. What about you? If you stroll the Singapore Riverwalk, you'll discover occasional bronze sculptures that each depict a scene of days gone by. 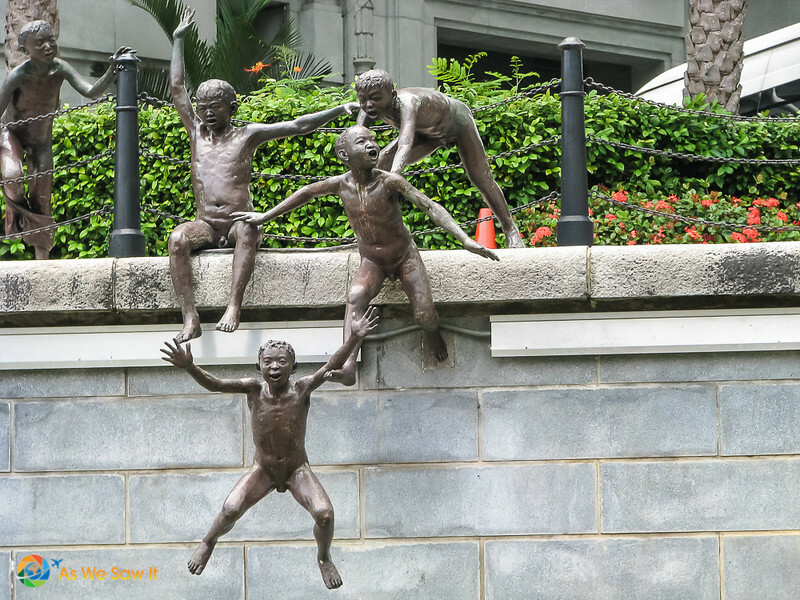 One of my favorite sights from the whole day was the one that was in front of the Fullerton Hotel, a sculpture of five naked boys in the middle of jumping into the water. This work of art is an homage to the city's heritage: The river was a popular swimming site until the city renovated its waterfront. We had seen this building from our hotel the night before, glowing with brilliant blue lights. It wasn't until we got an up-close, daylight view that we realized that it is actually a glass building with aluminum shades. It looks pretty weird, I think, and Singaporeans must agree; it's been called everything from the eyes of a fly to copulating aardvarks. Not for us. We say it looks eerily like that love-it-or-hate it Asian fruit, the durian. Our boat passed under a bridge at the mouth of the river and like magic, Marina Bay Sands Resort appeared on the far shore of Marina Bay. Singaporeans lodged a lot of complaints while it was being built, but they have become proud of the iconic hotel and entertainment complex. 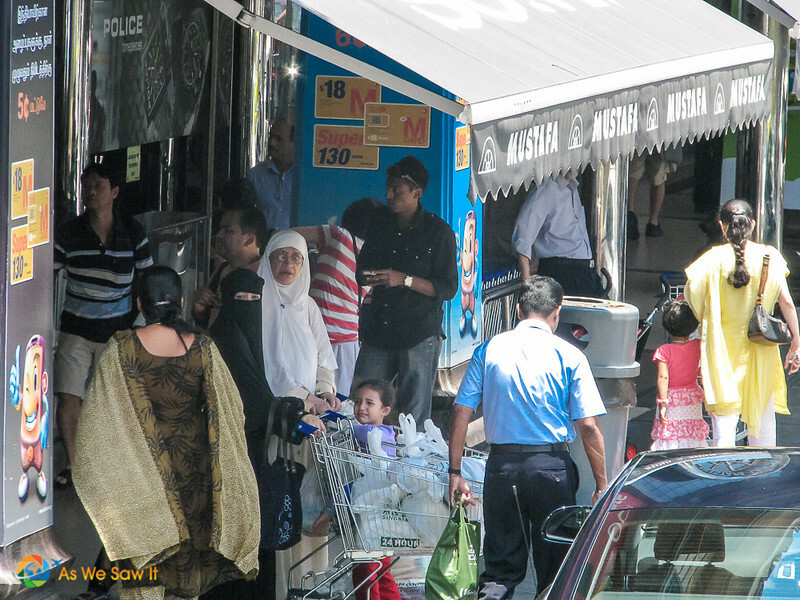 Its facilities are constantly used and enjoyed by both Singaporeans and visitors. Recommended reading: Have You Been to Marina Bay Sands? The mythical Merlion is Singapore's mascot and icon, so of course there's a huge statue of one at the park (aptly called Merlion Park) where the river meets Marina Bay. 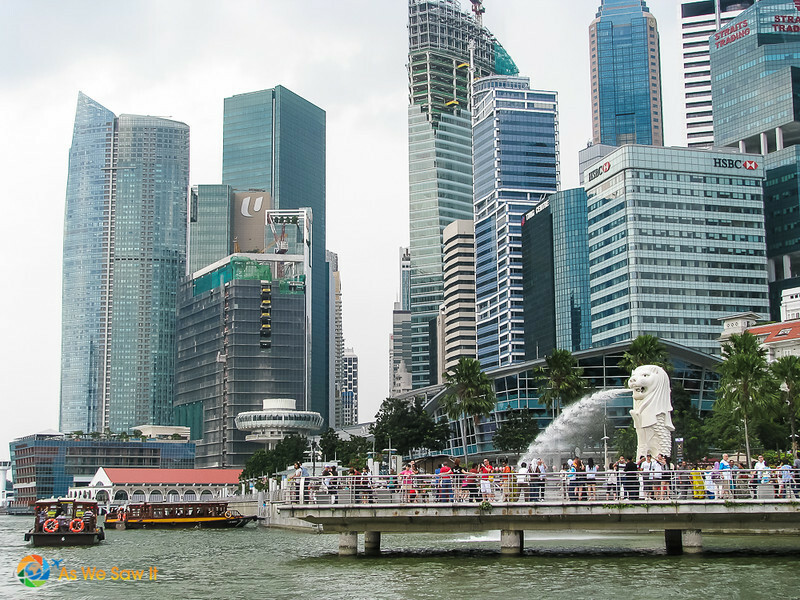 A Merlion has the head of a lion and the body of a fish, which is very symbolic for two reasons: Singapore's original name, Singapura, means “lion city” and it has always been a fishing village and port (“mer” means sea). The captain paused the boat in Marina Bay, long enough for passengers to take plenty of photos, before turning around and returning to the dock. We should have taken selfies with the Merlion and Marina Bay Sands in the background. Pin this to your Pinterest travel board. You can also follow us on Pinterest for more travel articles and ideas. 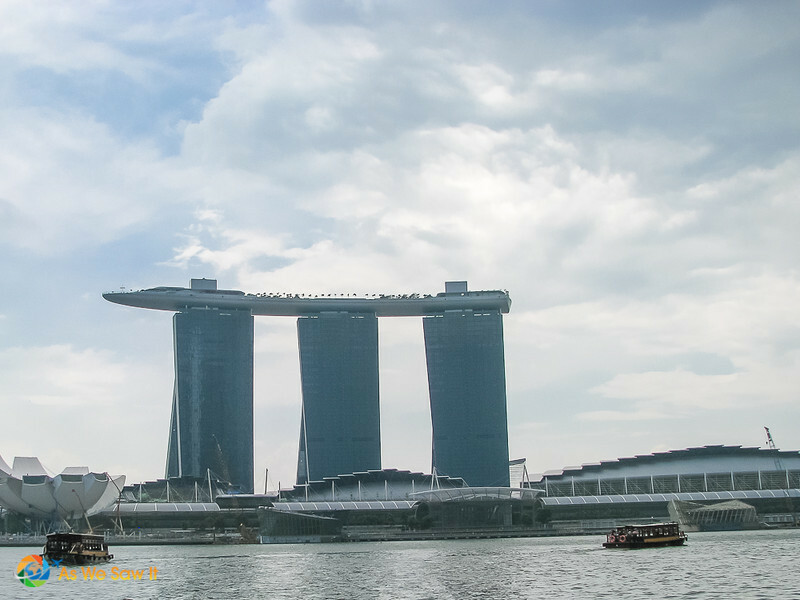 Have You Experienced Marina Bay Sands? I loved Singapore!! We spent 4 days there. I would have liked that river cruise, great idea. It was a surprise; we certainly didn’t expect that the city would look so different from a boat.